For the past twelve hours I have been thinking a lot about evil. It’s definition is vast but the byproduct is everywhere we look. Open up any newspaper, turn on the news, listen to what is happening foreign countries. It is hard to deny that evil permeates the world. From innocent children hurt to those that are willing to harm others in a race to power. Many times it makes me overcome thinking about the world that my children are now growing up in. No longer are they freely allowed to run free in a park or travel/ explore on their bikes. Those were simpler times. But those times also did not lack evil. As I was thinking of what evil is, it often was the pumping up of my self and own ego at the expense of others. It is a conscious and deliberate decision to do wrong. While we often define “evil” as something more heinous than simply a white lie, the decision to do wrong is in our everyday. Each day we all have the option to do evil. It might be to cheat others out of something that was rightfully theirs or ignoring members of your family when they are in need. We do not like to think that we each participate in the evil in the world through our actions each day. Too often we compare our evil or sins against another. That we are less sinless than another. Or thinking that I am a better person because of the amount of offenses that I committed today was less than person x. Realizing that any amount of sin keeps us aways from God, it makes no difference in how much evil we do. It all amounts to all of us falling short of what God wanted for us. But through Jesus we have been forgiven. As today’s word of the day is wonder. I often think back to the book by Mike Yaconelli in his book Dangerous Wonder. It was one book, as a young youth worker, that shook me. I often ask myself if I have lost the wonder of faith, and simply lulled into a sense of boredom. Sometimes we are lulled into that sense of boredom. When we read our Bible without sensing, God moving in the pages. Or when we are in worship and the word roll off our tongues without any meaning behind them. I often long for the times of wonder, when I give all of myself to God’s will and not my own. It was one of those snowfalls you never forget. Millions of white flakes filled the air, quieting the earth and swallowing the sounds. The resulting silence was thick with the texture that you could feel. My nephew stood in the living room at the opening to our deck, a stranger to the snow, his two years of life about to be altered irrevocably. His eyes were blank, unaware; his body clueless; his mind about to overloaded with the electricity of discovery. In a perfectly timed instant the deck lights went on, the camera started recording, the sliding door swept open, and a two year old was transported from the world he knew to a world he had never seen. His eyes stretched with astonishment, as through the only way he could apprehend what he was seeing was for his eyes to become big enough to contain it all. He stood motionless, paralyzed. It was all to much for a two year old, too much for an any year old. He twitched and jerked each time a snowflake landed on his face, feeling it tingle as it was transformed from hostile cold to friendly warmth, caressing his face with tiny droplets of water. Just behind his large eyes you could see sparks fly from the crosscurrents of millions of electric stimuli overwhelming, the circuit breakers of his previously small world. His mind was a confusion of a strange, conflicting realities: white, cold, floating, flying, tingling, electric, landing, touching, sparkling, melting— causing an overload so great, so overwhelming that he fell backward- a slow motion landing in the billowy whiteness, the snow tenderly embracing him. He had given up trying to understand snow and given in to experiencing snow. 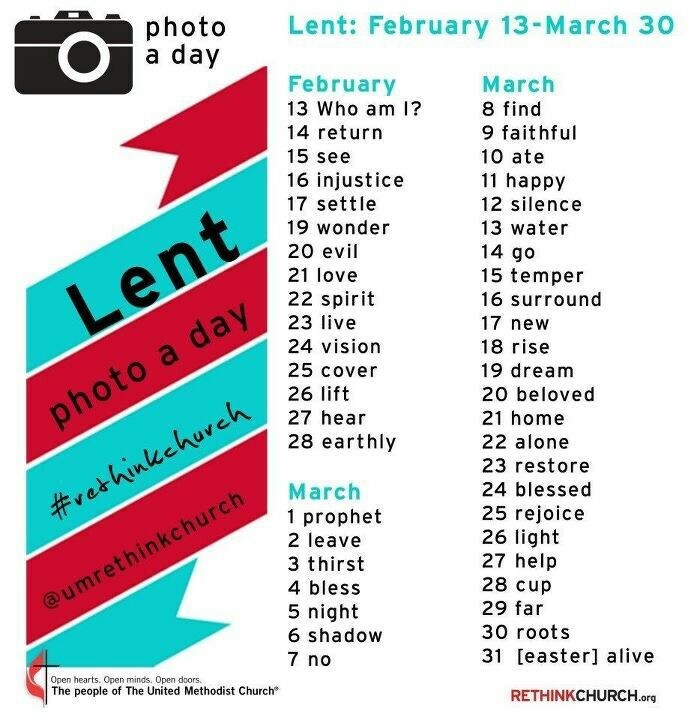 I have been involved in a picture of the day for the season of Lent. Each day you are to take a picture reflecting the word. Some are easy and some are not so much. It has made me think pastorally, theologically, and more deeply than I initially thought. I really like it… the thinking part of it. Today the word was settle. Too often we think of the word as giving up. That we are just settling for the situation that we are in. As I was thinking about settle, I took a picture of my youngest in a fort that we created. He was under the blankets, safe and secure. Protected in many ways. Too often we don’t just settle. In worship tonight I encouraged those that attended to simply settle. To let everything go and simply settle in and worship. Listen to the spirit working within our worship, to participate and not let it be a time of performance. To give in and simply be. Many times as we are waiting for God to move in our lives we need to be able to listen to the voice say… it’s not your time yet, that there is something out there but its time to settle and wait. This does not mean that we are abandoned but simply waiting on God’s timing. I hate waiting for God’s timing. I think I know what’s best, but in God’s time is so much more.